The Senate voted just before noon Friday to confirm Judge Neil Gorsuch to the Nation’s highest bench. The vote, originally set for Friday evening, was moved up to the morning after Democrats agreed to waive part of the final debate period. 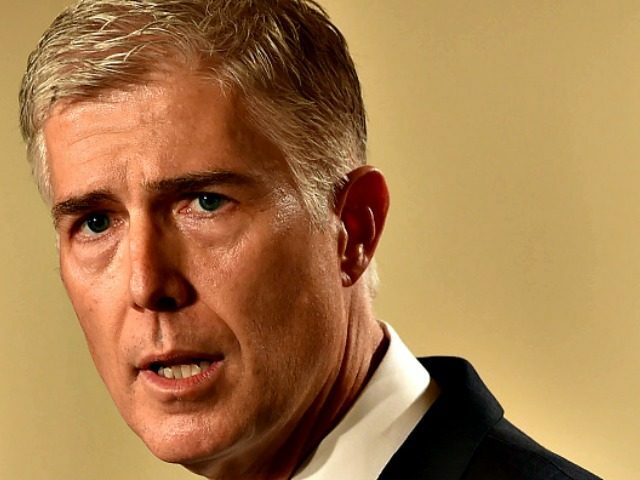 Gorsuch, President Donald Trump’s pick to replace conservative anchor of the Court, Justice Antonin Scalia, was confirmed by a vote of 54-45, with Democrats Heidi Heitkamp (D-ND), Joe Manchin (D-WV), and Sen. Joe Donnelly (D-IN) joining a unanimous Republican Caucus. Judge Gorsuch’s nomination process was among the most contentious in American history. After assembling the pledges of 41 Senate Democrats to iniate the first partisan filibuster of a Supreme Court nominee, Senate Majority Leader Chuck Schumer (D-NY) sought to prevent a vote of the full Senate. This set up a showdown over Senate cloture rules that resulted Thursday in Republicans invoking the “constitutional option” and abolishing the filibuster for Supreme Court nominees. The partisan animosity of the nomination continued into the vote. Sen. Michael Bennet (D-CO), representing Gorsuch’s home state, voted against his fellow Coloradan. He had previously sought to chart a middle path, voting at least to allow a vote of the full Senate before the constitutional option was used. Chairman of the Senate Judiciary Committee Sen. Chuck Grassley (R-IA) took to the floor immediately after confirmation to thank his staff for their work throughout the momentous proceedings. The Senate moved on to invoke cloture on President Trump’s pick for Deputy Attorney General, Rod Rosenstein. Gorsuch is now expected to be formally sworn in on Monday and will join his eight fellow justices in an investiture ceremony to be held later this month.